More about iittala Toikka Reed Warbler Oiva Toikka captures the sparkle of summer with this special seasonal bird. 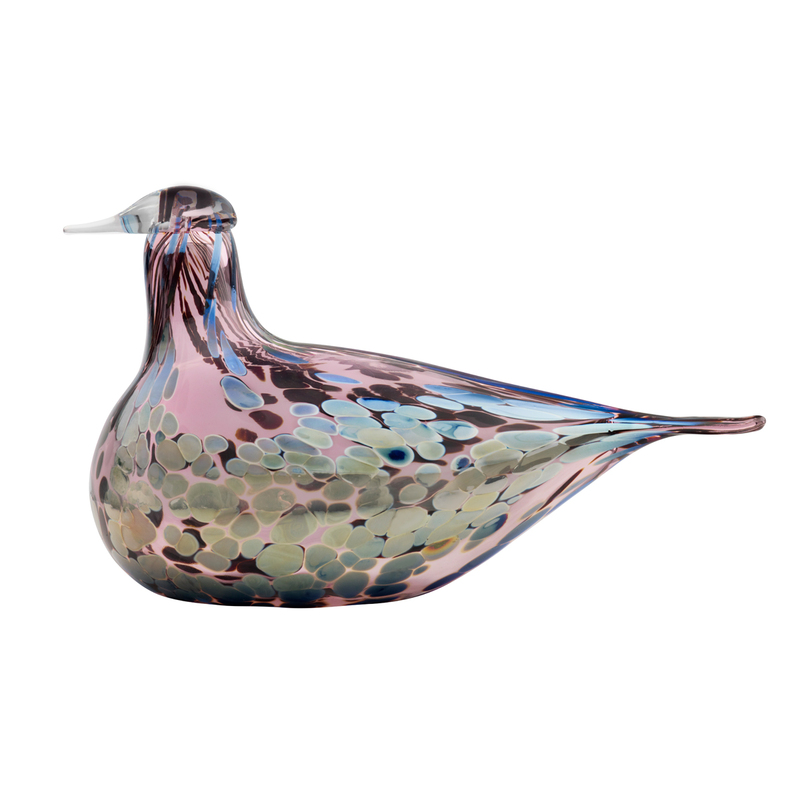 Reed Warbler's reflective flakes not only demand the attention of all who lay eyes on it, but the unmatched skill of the iittala, Finland factory's top glassblowers. Entirely handcrafted, this textured effect picks up the surrounding movement and pigment but tends to favor jewel tones of blue, purple and green. The transparent glass permanently carries an allover pink tint, but depending on its backdrop and lighting, it can vary from a soft lilac to a rich rose; the result resembles a stunning summer sunset.